Box 1-2 sent Wagon 4, Squad 8, Towers 1, 2, and Chief 5 (Wise) to 88 N. 18th Street for a house fire at 1656 hours. Multiple calls were being received indicating fire from the back of the house and all occupants are out. Chief 1 (Enterline) on location requesting the first alarm bringing Wagon 3, Rescue 69, and Air 13 to the scene. 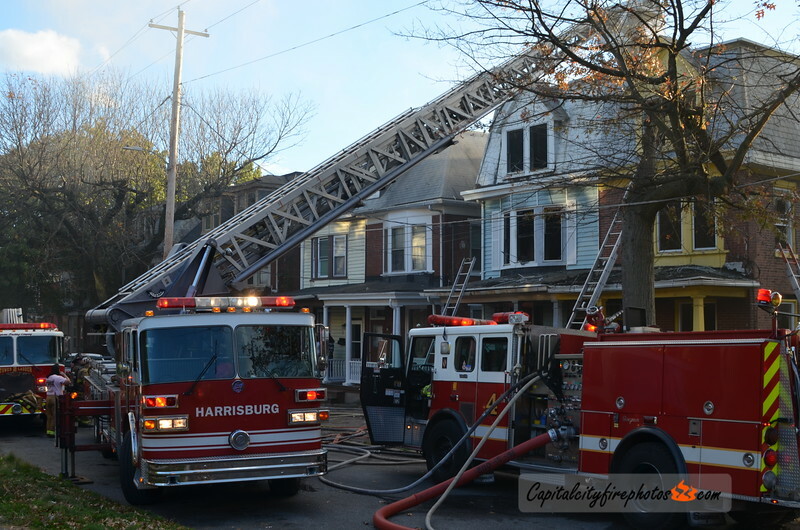 Companies had heavy fire on the first floor in the rear auto exposing to the exposures. Chief 1 requested an additional engine and truck to the scene (Engine 30 and Truck 50). Multiple hand lines knocked the fire down in about 15 minutes with extensive opening up of void spaces.